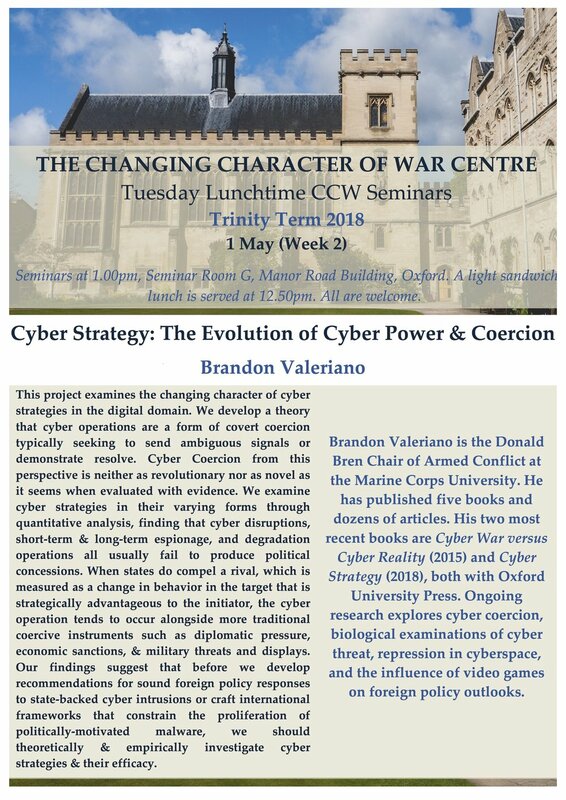 This project examines the changing character of cyber strategies in the digital domain. We develop a theory that cyber operations are a form of covert coercion typically seeking to send ambiguous signals or demonstrate resolve. Cyber Coercion from this perspective is neither as revolutionary nor as novel as it seems when evaluated with evidence. We examine cyber strategies in their varying forms through quantitative analysis, finding that cyber disruptions, short-term and long-term espionage, and degradation operations all usually fail to produce political concessions. When states do compel a rival, which is measured as a change in behavior in the target that is strategically advantageous to the initiator, the cyber operation tends to occur alongside more traditional coercive instruments such as diplomatic pressure, economic sanctions, and military threats and displays. Our findings suggest that before we develop recommendations for sound foreign policy responses to state-backed cyber intrusions or craft international frameworks that constrain the proliferation of politically-motivated malware, we should theoretically and empirically investigate cyber strategies and their efficacy.